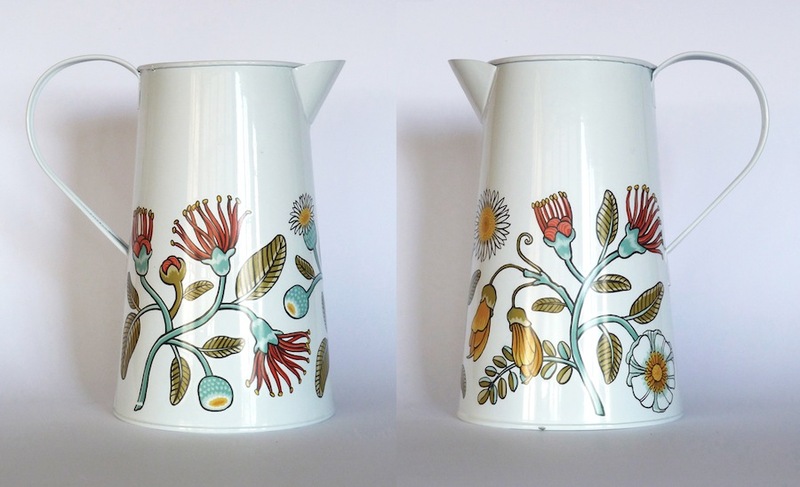 Live Wires NZ have produced two powder-coated tin jugs (‘enamel jugs’) with scandinavian-styled floral designs by Henri Stone of Wolfkamp & Stone. 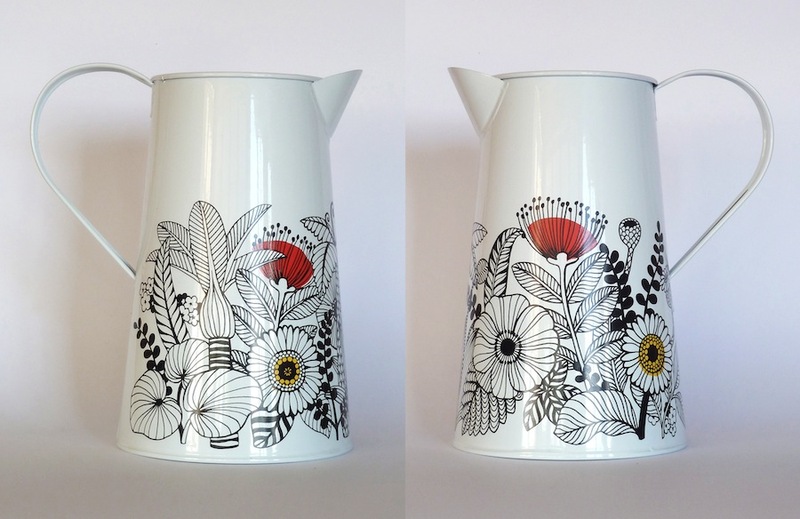 The jug above has a black and white line drawing with small accents of bright red and yellow. Below are South Island flowers, rata, Marlborough rock daisy, Mt Cook lily and kowhai. The Black and white flora design is also featured on a new soap range, napkin range and as a gift wrap sheet. Contact Live Wires NZ Ltd to find a retailer near you or to ask about wholesale orders.